Bitcoin is surging in recent weeks, and personal data privacy is now more important than ever. 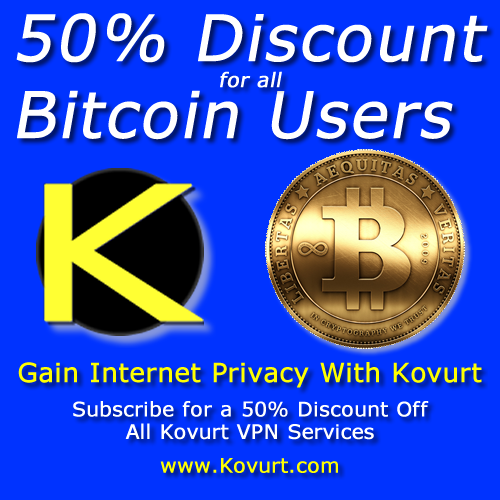 Kovurt’s Internet Privacy Fix is now valuable to all Bitcoin users with a whopping 50% discount! Between now and the end of 2015, any Kovurt subscription paid with Bitcoin gets an immediate 50% price reduction. Sign up today!